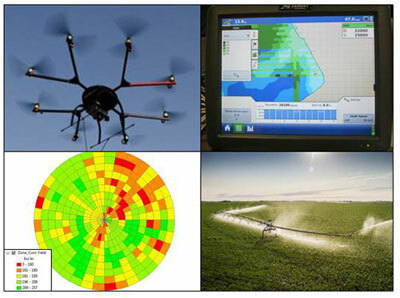 Education and industry sessions at the Nebraska Agricultural Technology Association (NEATA) Conference can help you get the most from your precision agriculture investment. The conference will be Feb. 5-6 at the Midtown Holiday Inn Conference Center in Grand Island. A variable-rate technology symposium on Feb. 5 will feature speakers from Lindsay, Veris, CropMetrics, Monsanto, South Dakota State University, and the University of Nebraska-Lincoln. The main conference will begin on Feb. 6 with feature keynote speakers Daryl Starr of Advanced Ag Solutions and Chris Neale of the University of Nebraska-Lincoln's Daugherty Water for Food Institute. Concurent sessions throughout the day will feature topics related to state of the art agricultural technologies. There also will be a session on the Broadband Initiative in Nebraska. Registration is available online at www.neata.org for either or both days. Questions can be directed to Joe Luck, (402-472-1488; jluck2@unl.edu) at the University of Nebraska-Lincoln.